Pearl blue latex Christening balloons from Qualatex. These high quality balloons are supplied in a pack of six and can be filled with helium or air. The balloons measure 11 inches diameter when correctly inflated. 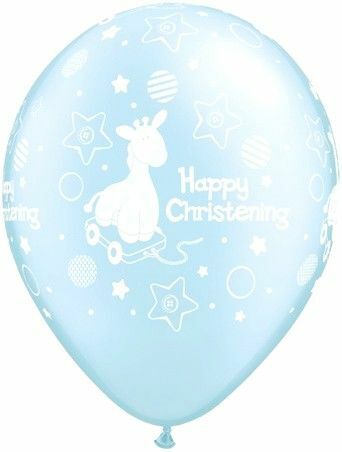 These balloons look lovely with plain pearl blue or white balloons.